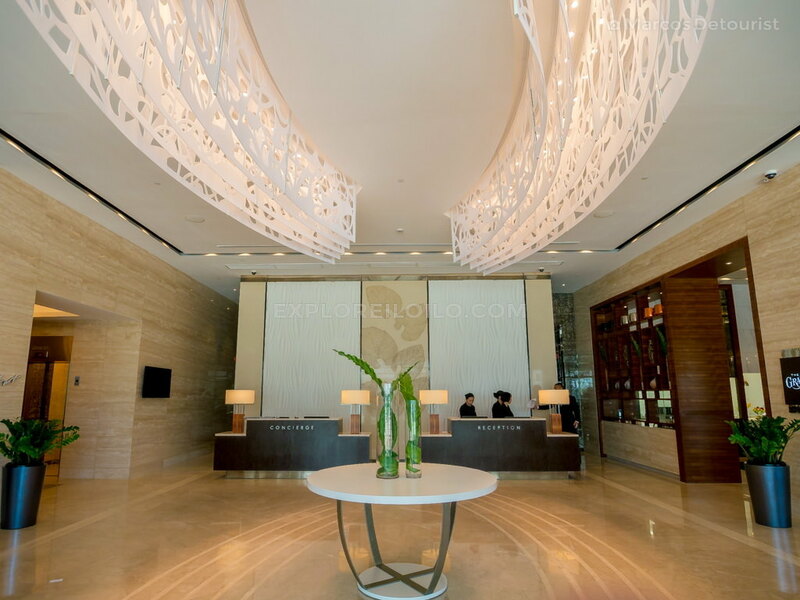 Modern cosmopolitan lifestyle meets relaxed Iloilo flair at Richmonde Hotel Iloilo. Its strategic location at the Iloilo Business Park township in Mandurriao, top-notch service, panoramic overlooking views, well-appointed rooms, excellent dining options, and practical rates are perfect for both business and leisure travelers. It is part of the Richmonde chain of hotels and resorts along with Richmonde Hotel Ortigas and Richmonde Hotel Eastwood in Metro Manila. The interiors are light and spacious with a calm mood. Inspired by the sugarcane, colonial Iloilo’s most important agricultural crop, its contemporary design is accented by wooden details, hand-loom surfaces, and subtle details. Richmonde Hotel Iloilo occupies the upper floors of the 12-storey Richmonde Tower, which stands as the centerpiece of the Iloilo Business Park township developed by Megaworld. It is found across the street from the Iloilo Convention Center and within easy walking distance from some of the city’s most exciting upcoming developments including the Megaworld Center Mall, Festival Walk (shopping and dining strip), Courtyard Hotel by Marriot, BPO office buildings, and residential condominium towers. Richmonde Hotel Iloilo is currently operating under its “soft launch.” The rooms on the uppermost floors and the pool are still under construction. Once completed by the end of 2015, guests can cool down and enjoy sweeping views of the city at the 7th-floor outdoor rooftop swimming pool and Pool Bar. Discover more blogs and travel tips in Iloilo Business Park. Marcos Detourist is the founder of Explore Iloilo. He loves to go on off-beat adventures to discover the beauty of Iloilo & beyond.